Cumberland, Dauphin, Franklin, Fulton, Adams. Prison consultations are also offered. Whether this is a first-time DUI, a second DUI or a DUI Controlled Substance offense, we will help you understand your rights. Learn more about Beating a DUI in PA, the ARD program and the DUI Court Process. If you were charged with simple assault, aggravated assault, domestic violence, illegal weapon possession, homicide, or robbery we will work aggressively to defend your rights. ** Have handled Over 15 homicides cases, including Death Penalty cases. If you are at risk from losing your license from a DUI or other traffic citation, we will take charge of your case and fight for your basic right to a drivers’ license and push for a reduction or elimination of fines. If your child was charged with a crime, we will work tirelessly to defend the rights of your child at all stages of the case, including but not limited to detention hearings, adjudication hearings, and denials. Charges from burglary, robbery, identity theft, credit card fraud, mail fraud, tax fraud, insurance fraud, check fraud or shoplifting (retail theft) can seriously harm your future if convicted. 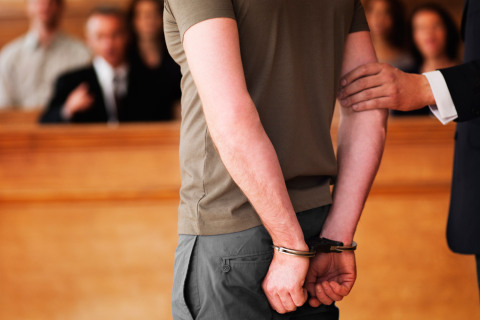 Our attorneys work toward proving your innocence and having your charges dropped or reduced to a minimum. If you are in violation of parole or probation, we will fight aggressively for your freedom in an attempt to avoid going back to prison. First time offenders of certain crimes may avoid having a conviction on their permanent record through acceptance into the county ARD program. We can help you through this process. If you are subject to a PFA order or being accused of violating a PFA order or restraining order, we will help you understand your rights.